Skylight Coworking is a collaborative office environment offering low cost, shared desk and office space to members and drop ins. Rates start at just $25 for the occasional drop in coworker, with a mid-price point of $175 per month for part time members and $275 per month for full time members, and a premier price point of $325 per month for 24/7 key holders. 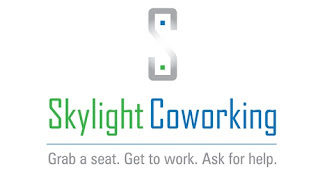 Skylight Coworking provides comfortable shared desk space, Wi-Fi Internet access, an open office environment, a semi-private conference room, kitchenette, rest room facilities, and above all else a friendly, collaborative, professional atmosphere amongst members. It is also available for events, jellies, and meet-ups. The term “Coworking” was first coined in the United States 7 years ago and has become increasingly popular in both the U.S. and abroad. Coworking provides the opportunity for freelancers, virtual employees, small business owners, and other work-from-home types to build a collaborative community of professionals and a comfortable work space away from the traditional home office. Coworking attracts web developers, programmers, graphic designers, writers and editors, technology professionals, artists, Internet marketers, and other such creative professionals and freelancers who often find themselves in coffee shops or libraries in an effort to increase their productivity and stimulate social interaction. Skylight Coworking chose Phoenixville as its headquarters location because of the bustling revitalization of the borough’s downtown district, as well as its proximity to Philadelphia and the Western Suburbs. Bridge Street and Main Street in Phoenixville are both lined with many new, up-and-coming businesses, including restaurants, shops, galleries, artist studios, cafes, pubs, and salons. The area will provide a cool and contemporary backdrop for professionals who choose to spend time working and interacting at Skylight Coworking. Skylight Coworking opened at 214 Bridge Street in Phoenixville, PA with a soft launch on October 15 and is holding their Grand Opening Event on November 2. 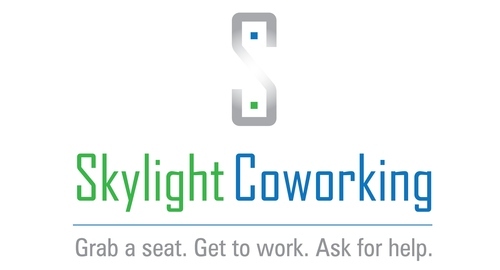 To learn more about Skylight Coworking, please call them at 484-802-2638 or visit them online at www.skylightcoworking.com.